SHACC Founding Partner and longtime supporter, Tom Holbrook donated this amazing 10'4" Greg Noll semi-gun. Shaped by Charlie Galanto at the Greg Noll Surfcenter Hawaii Shop in 1965, it features a 3/4" redwood stringer, concave tail and trademark chopstick fin. 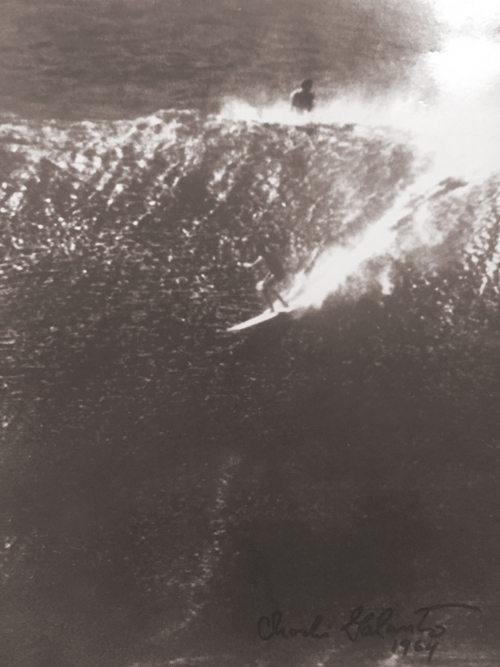 Charlie ran the Hawaii shop and learned to shape under George Downing. Thanks Tom for this beautiful board. Charlie Galanto on a North Shore "bomb" in 1964.